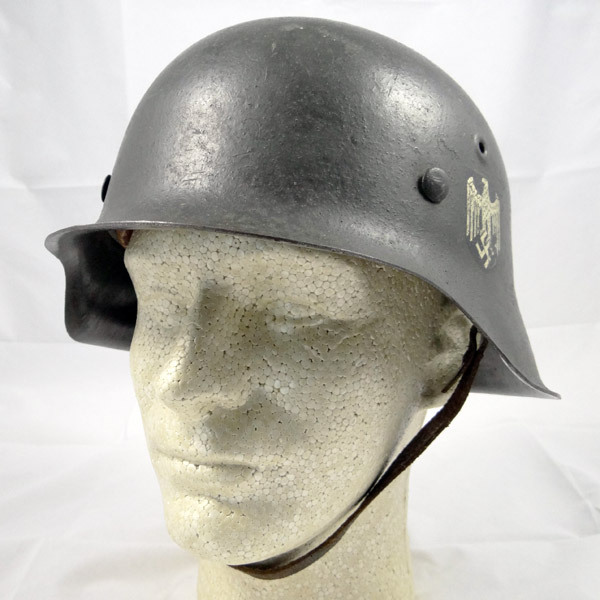 Our WW2 German Helmet category contains a mix of German Kriegsmarine helmets, German Heer (army) helmets, German Luftwaffe (air force) helmets, Luftschutz helmets and more. 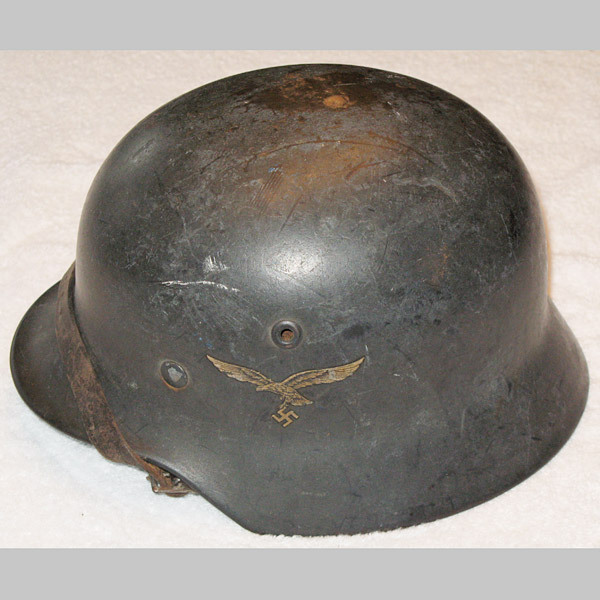 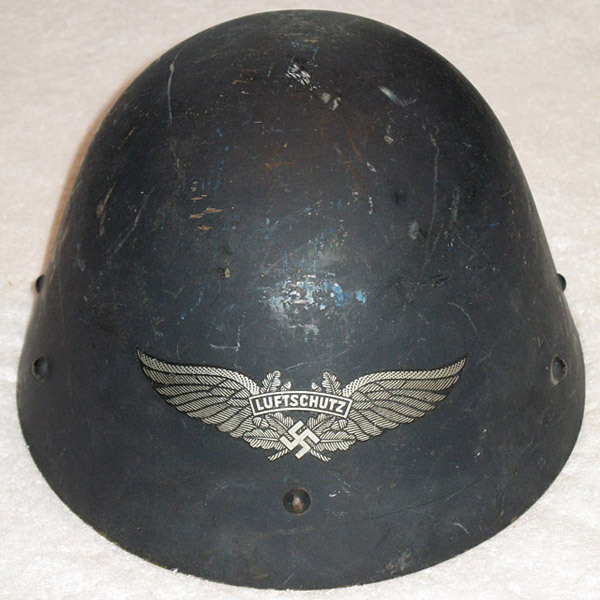 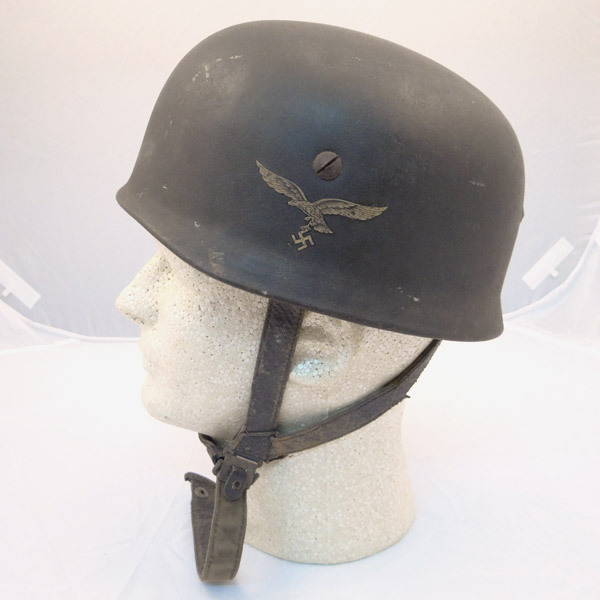 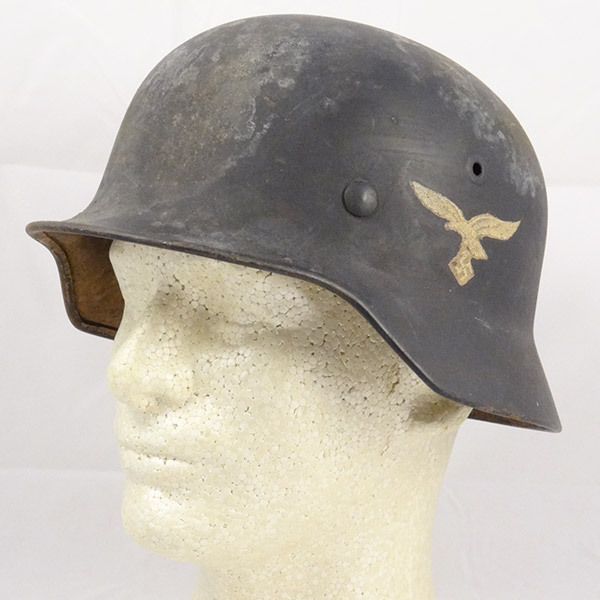 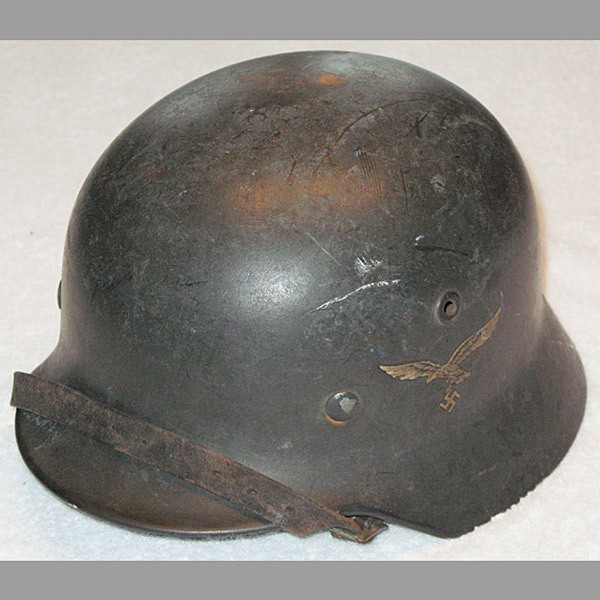 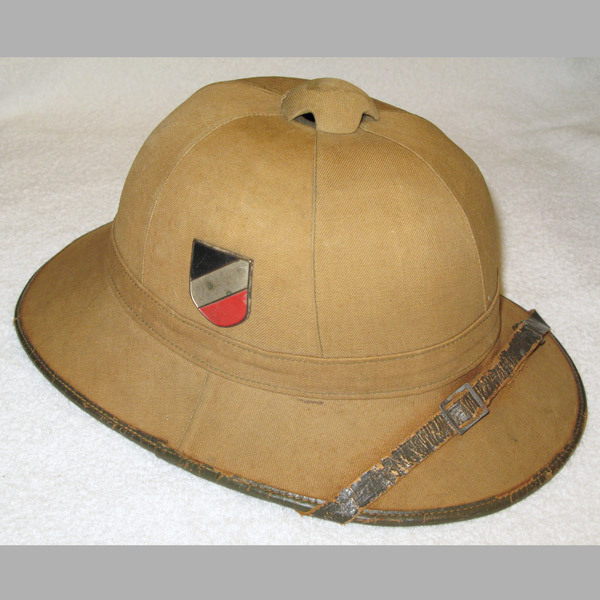 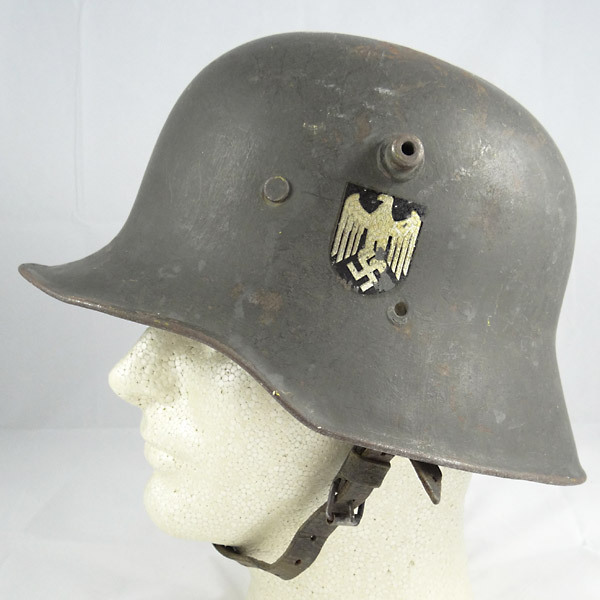 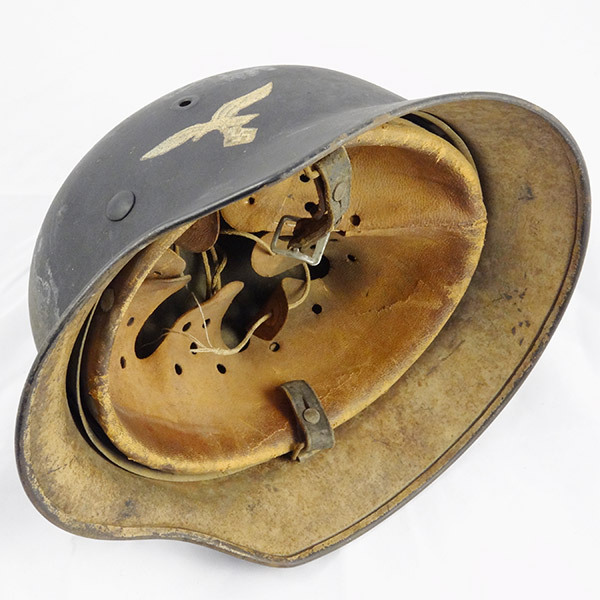 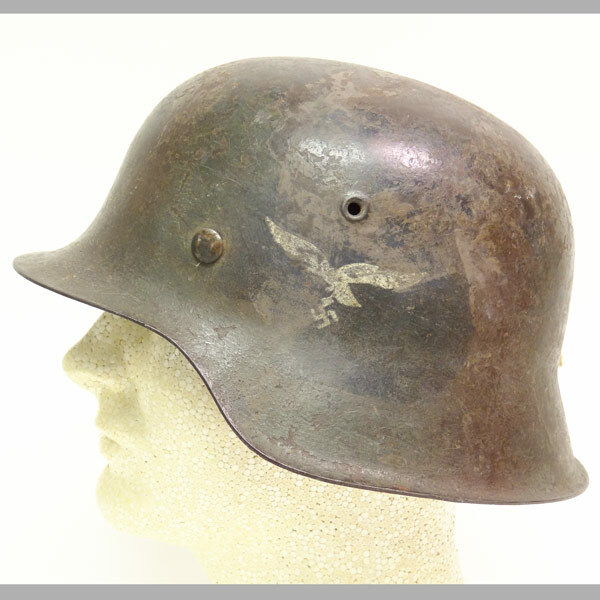 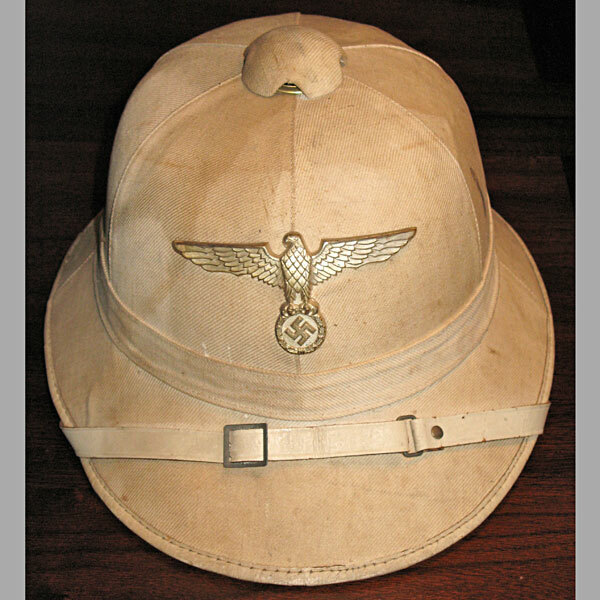 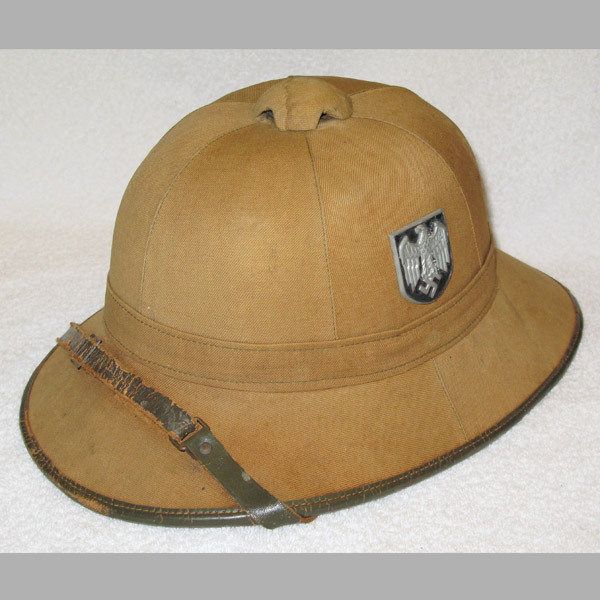 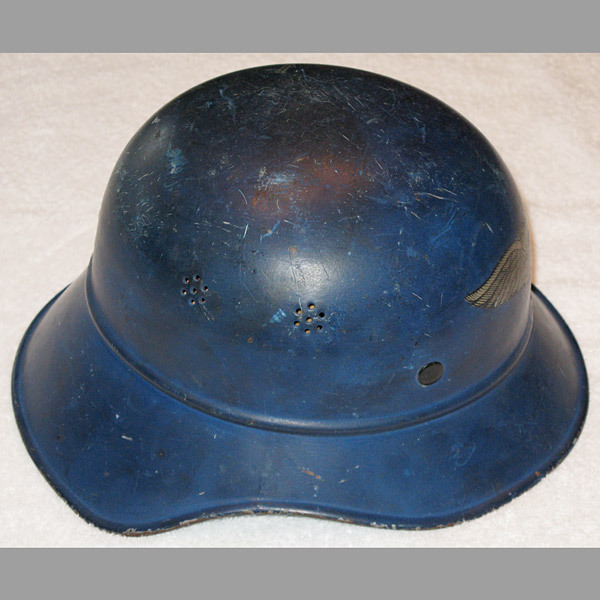 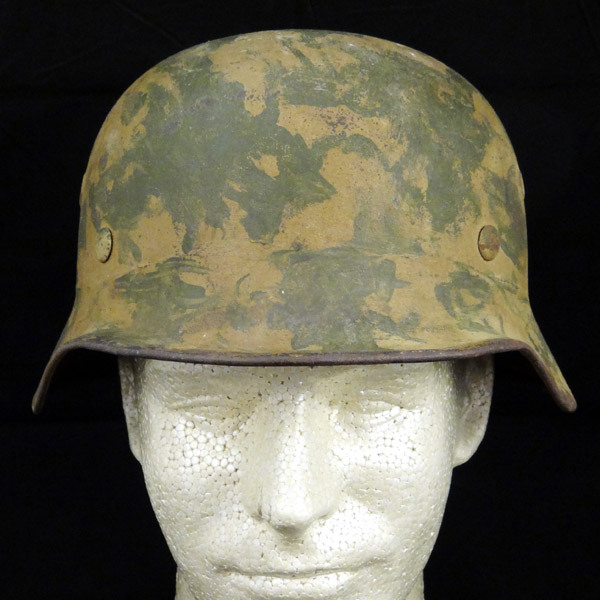 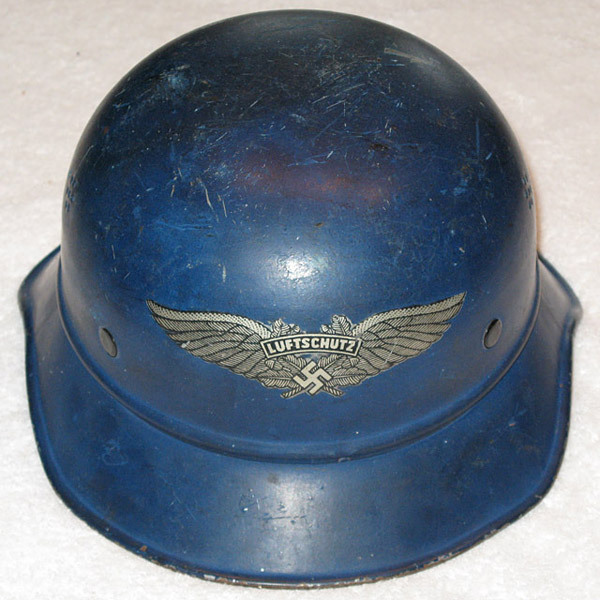 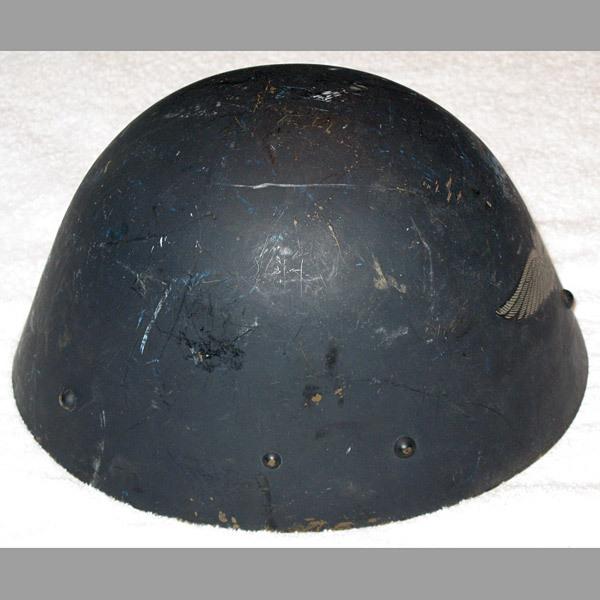 German Helmets have always been an important WWII Collectible for many collectors to showcase. 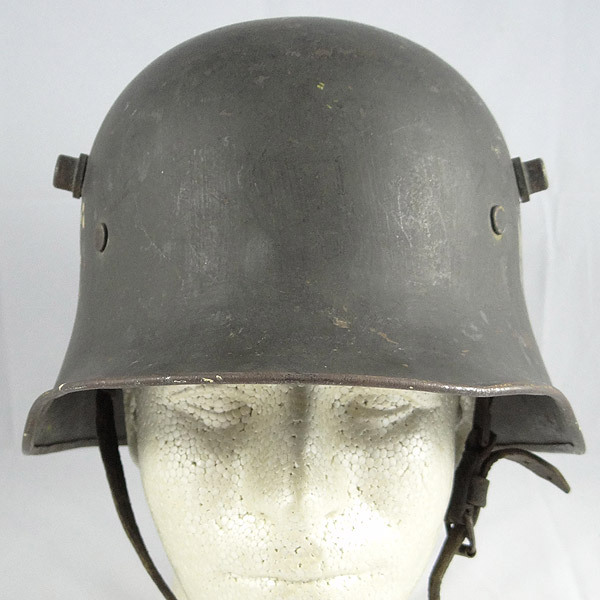 With so many helmet styles produced by Germany in WW2, such as the popular M42 German Heer Helmet, which was the last wartime upgrade to the standard helmet in 1942, some collectors choose to focus only on collecting helmets! 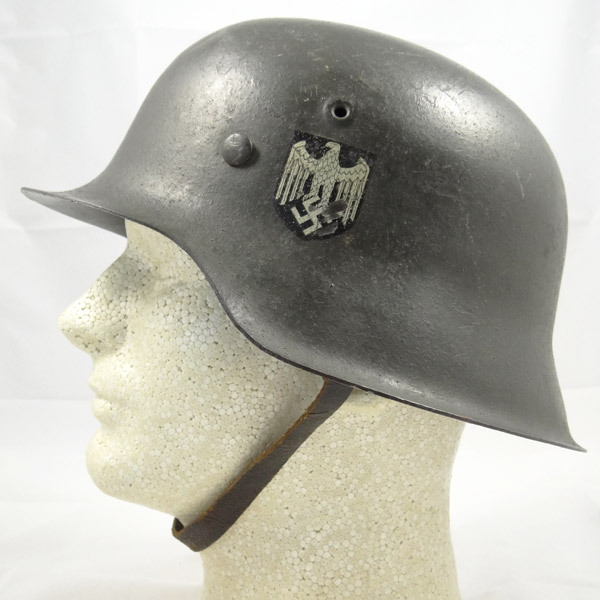 Caution should be taken when considering a German Helmet for purchase since there are a great deal of reproductions on the market today, some using original helmets, but reproduction decals and paint. 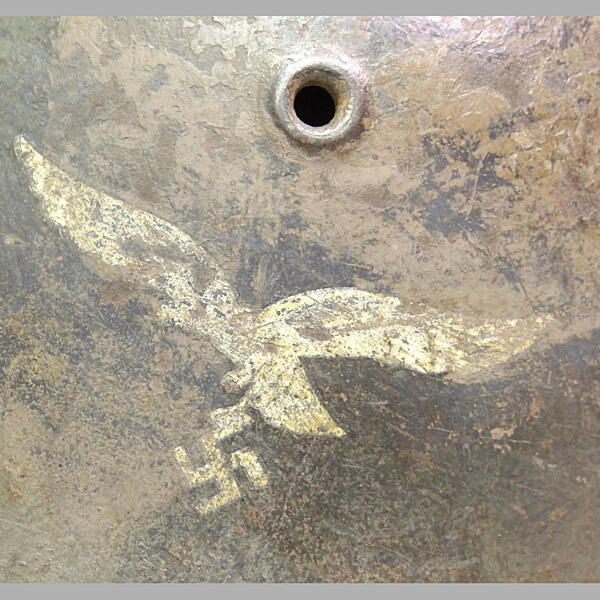 Check back often as our private collection is constantly growing, thanks to the contributions of our wonderful visitors! 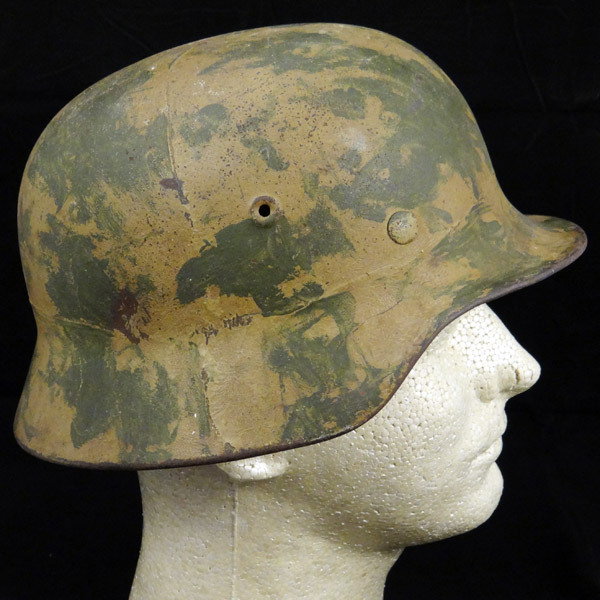 This WW2 Tropical Pith Helmet is not the nicest example I’ve seen, but it is complete, original, and in better shape than many on the market today. 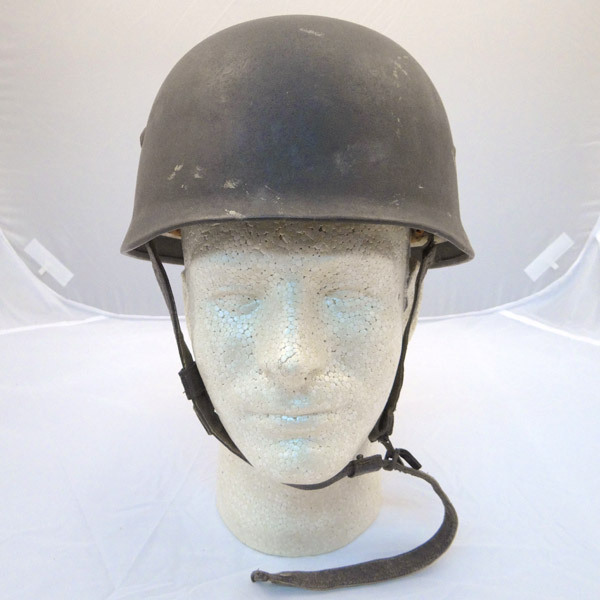 The only notable flaws are the heavily worn leather chinstrap, normal wear to the leather trim around the rim of the helmet except for a small 2-3” chunk missing, and some minor discoloration in areas. 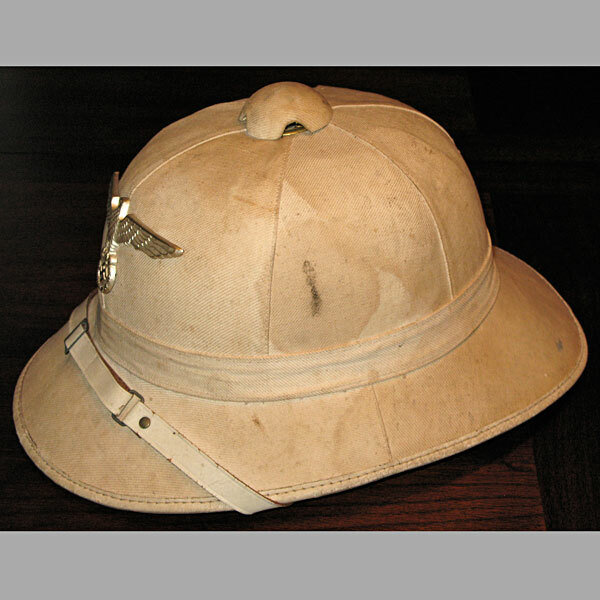 The sweatband on the inside is in tact, but has a small section that has either been burned, or saturated with a substance that caused the leather to harden.